America West Flight Training Academy offers flexible flight training programs for private, instrument, commercial, multi-engine, and flight instructor certificates and ratings. We utilize several airports in Southern Utah, Northern Arizona, and Southern Nevada in our flight training to give you a wide variety of experience at airports of different sizes and configurations. We specialize in flexible scheduling to allow you to work your flight training into your busy schedule. 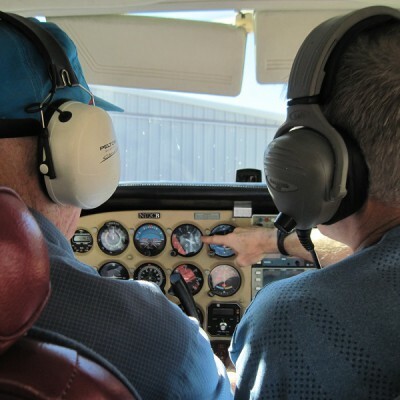 With experienced flight instructors and a high level of aircraft dispatch reliability, you can complete your flight training with very few if any delays at the least possible cost. America West Flight Training Academy offers accelerated flight training with a 14 day private course, 10 day instrument course, and a 5 day commercial course. Certain requirements must be completed prior to starting an accelerated course. Visit our website www.americawestflighttraining.com for more details or contact us at 435-635-0467. We look forward to hearing from you soon. Be the first to review America West Flight Training Academy!